Breaking news... South Church is composting! 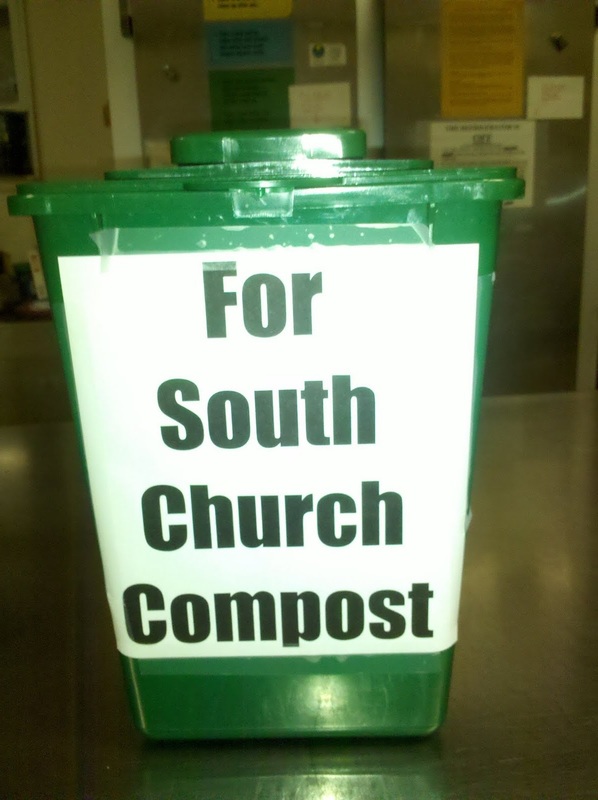 It's been happening in fits and starts for the past year, and now, thanks to the tireless work of Chris Cole-Olsewski, a team is in place to bring our compost from the South Church kitchen compost bins to the new and improved outdoor compost bins near The Kitchen Garden. What YOU need to do: if you are working in kitchen, put your coffee grounds, filters, tea bags, used paper napkins, crumbs you sweep off the counters, stale broken cookies, fruit peels, pizza crusts and more into the green compost bucket. A good compost heap is the key to growing good food.